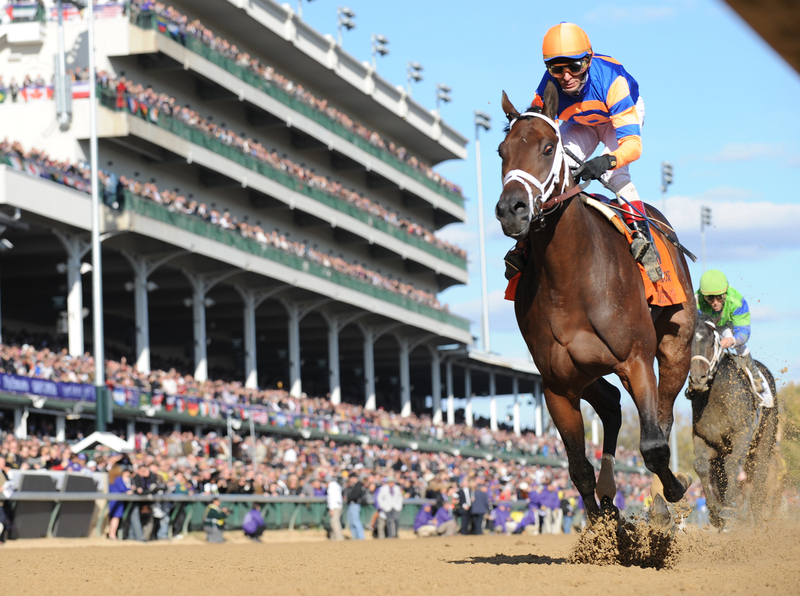 ← What Does Game On Dude Have In Common With John Henry? Kentucky's signature industry is threatened by apathetic and even hostile politicians. I rarely step into the political realm on this blog, but with the presidential race already in full-swing, I feel like I must discuss what it means for horse racing – a sport, industry and passion. You may not realize it, but horse racing is inextricably tied to the politics of America. I don’t have to tell even casual fans that horse racing is a fragmented industry that lacks a central governing body and the uniformity that provides. But why is it (dis)organized in this way? Because horse racing is a mode for gambling, states decide whether to allow it and how to regulate it. Each state manages its own business its own way – and that’s where the problems lie. Racing commissions that create the rules and oversee the participants are created by legislative acts. Racing commission members are either elected or are appointed by governors. Laws that expand gaming, such as to allow slot machines, poker rooms, instant racing, or even exchange wagering, are all enacted by legislatures or voted on by the public. How many of the people in those state governments are racing fans? How many even realized that horse racing was part of their job duties? I can imagine the conversation when a horse racing group wants to make a change to a racing law, while at the same time, another group is lobbying for education reform. Which group do you think will get the short end of the stick in this situation? For example, in Louisiana, a rule change that lowered the testing threshold for Bute, a common anti-inflammatory therapeutic drug, was delayed by the state’s commerce committee. The change was part of new rules developed by the Association of Racing Commissioners International (ARCI), which is the industry group who creates model rules for racing. These, in turn, are adopted by state racing commissions*. The rule change had been fast-tracked so that the state’s graded stakes would not face downgrading by the American Graded Stakes Committee. The state Horsemen’s Benevolent and Protective Association (HBPA) objected to the fast-tracking and protested the change. The squabble then reached the commerce committee – a group made up of lawyers, real estate developers, and salesmen. How could these folks decide when and how to enforce a rule change that would lower a drug test threshold from 5 mg to 2mg? Would they even know what Bute is? It would sure help if one of those elected officials had some knowledge of horse racing when faced with decisions like this. So I ask that everyone who is a racing fan, owner, breeder, trainer, bettor or even groom to do your homework. Don’t just vote for a politician who says the “right thing” on TV about abortion or gay marriage. Neither of those issues has any bearing on the sport we love. Make sure that candidate has a record of supporting the issues important to racing in your state. Still not convinced? In Kentucky, the Horse Capital of the World, anti-racing interests have slowly taken over that state’s legislature. With the downturn in the economy and historic declines in pari-mutuel handle, the signature sport has taken a massive hit. The introduction of casinos in neighboring states has attracted gambling dollars, and horse owners followed to where purses are higher. Allowing casino games at Kentucky race tracks would would boost purses, bolster state breeding programs and even the playing field, securing thousands of jobs. Despite the overwhelming public support for casino gaming in Kentucky, the legislature voted down a measure to allow Kentuckians to vote to allow them. One of the most outspoken opponents of casino gaming in Kentucky is Alice Forgy Kerr, who represents the legislative district encompassing the very heart of horse country – Lexington. How does a person with no regard for her state’s signature product get elected? Kerr isn’t the only one, and disregard for the racing industry isn’t confined to one party. Please, racing fans, do your homework before you go to the polls this year. Be sure the person you vote for will do what’s right for racing in your state – it is the only way to make meaningful change. *The Model Rules are used as a template for state racing commissions and may be adopted in full or modified to fit the individual state’s needs. For more info, see ARCI Model Rules.